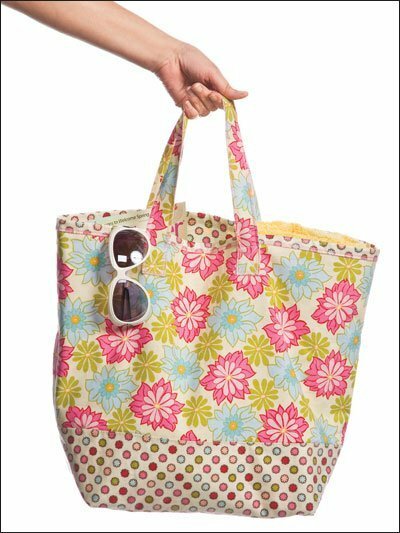 This bag is water resistant so you can take to the beach or swimming pool. Using vinyl coated fabric or make your own. This is a basic project to get you familiar with a few serger techniques. We will alter the pattern to construct some tube handles for this bag.